Fantastic hospitality. First ever backpackers stay – really impressed. 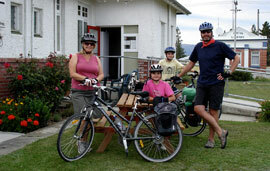 Cycling or walking the Otago Central Rail Trail or just touring around the South Island? Looking for comfortable, affordable accommodation with some real New Zealand hospitality? Wanting to stay somewhere described as "warm and welcoming," where your hosts make you feel at home? 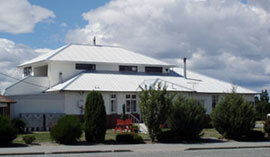 Come and stay with us in Ranfurly, Maniototo, Central Otago! Use us as your base for exploring the Oteake Conservation Park (opened in May 2010) and nearby Naseby (mountain biking, all-year round curling, ice luge and ice-skating in winter). Take a break from the Rail Trail and recharge your batteries. Come and discover the painters and photographers' paradise that is Central Otago with its distinctive seasons and big skies; where Grahame Sydney was inspired to paint many of his famous landscapes. Enjoy the sights Ranfurly has to offer and find out why it is known as the Rural Art Deco Town of New Zealand. Uncover the rich heritage that makes the Maniototo what it is today. Click here for information about local activities and services.